Mr Wainwright expressed concern about police falling behind in its capability to keep pace with significant new criminal phenomena because it has not been given the same powers in the virtual world as it has in the real world to deal with major fraud, child sexual abuse and other forms of international crime. 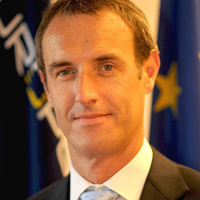 The Europol Director advocated for police bodies to retain public trust by operating with increased transparency and accountability and with the highest standards of data privacy, but within a framework that also allows it to guarantee basic levels of security for citizens. He also urged national authorities to invest more in regional and international police cooperation bodies such as Europol and INTERPOL. The debate took place within the context of the future of Europol and the proposed new Europol Regulation currently being negotiated. The objective is to adjust the legal framework of Europol with the requirements of the Treaty of Lisbon, which will result in a strengthening of Europol’s democratic legitimacy and accountability. The proposal also aims to further strengthen Europol’s robust data protection regime and its operational capabilities. This will reinforce Europol’s current tasks but also its future responsibilities in particular those relating to becoming a centre of specialised law enforcement expertise. In February 2014, the European Parliament adopted its position on the proposed Europol Regulation, strengthening the data protection safeguards, spelling out in greater detail the joint parliamentary scrutiny by the European Parliament and the national Parliaments.